Good night, sleep tight! 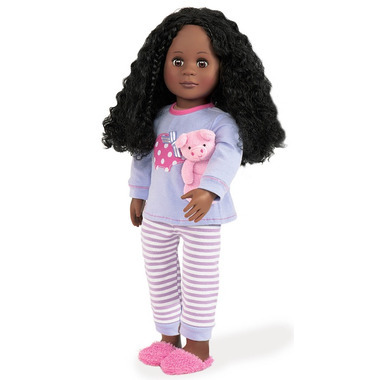 This cute-n-cozy PJ set includes: 1 piggy PJ Top, 1 pair of striped PJ pants, 1 plush piggy and 1 pair of pink slippers. Suitable for ages 3 years and up, doll not included. So cute! Perfect for any 18" doll. Fits perfect and is made well.